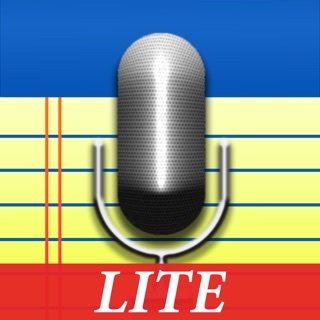 Record and submit audio files for high quality transcription (with account). 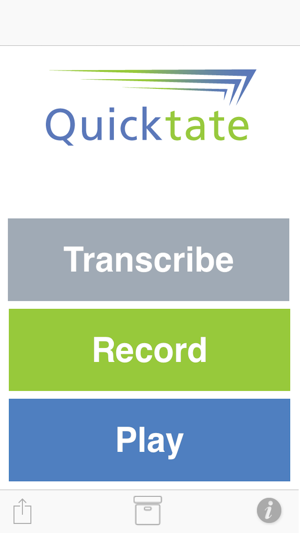 Quicktate is a leading transcription company; Billions of words transcribed (English and Spanish). Transcribers available 365 days a year. Completed transcription available online and delivered via email. 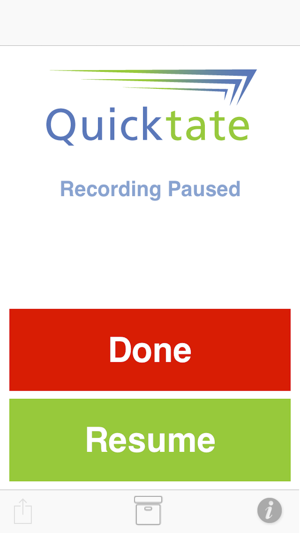 Quicktate service is usually quicker and more economical than other transcription companies. 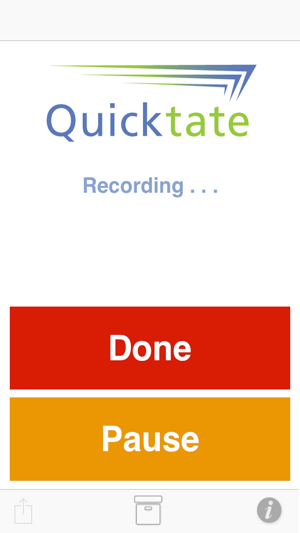 All users of the Quicktate app can record and email files, however a Quicktate account is required to submit files for transcription. Our transcription backend is used by hundreds of innovative customers (phone companies, etc.) 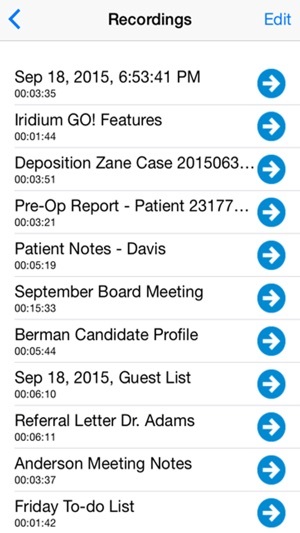 and their millions of end users to transcribe voicemails, personal dictations, call recordings, and much more. 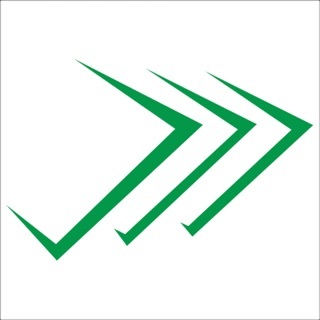 Quicktate is one of the oldest and most successful international transcription companies with customers spanning the globe. We are so certain Quicktate will revolutionize your workflow and save you money, we are willing to let you try our transcription service for free. You will receive an instant $5.00 credit when you create a transcription account. You will be responsible for transcription charges in excess of the $5.00 credit. 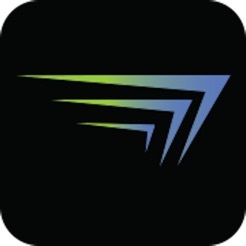 I have been using Quicktate services for years and I can honestly say they have provided incredible service and quality! This new app is just an extension of that incredible service and innovation. The app is user friendly, easy to navigate and extremely quick turn around on dictations. If you want solid dependability and performance look no further; not to mention their outstanding customer service! Hands down the best around!